Aquatic plant management: can we do better? Photo credit: Larry Allain, USGS Wetland and Aquatic Research Center. FANN member and retired environmental engineer and biologist, Allen Stewart, ASBRO & PASOP, certainly thinks so and is advocating such to the Florida Fish & Wildlife Conservation Commission which, effective January 24, paused herbicide treatment to control invasive aquatics statewide while collecting public comment. Allen shared with FANN his summary statement on the need to explore mechanical harvesting to improve nutrient control, which he plans to read at a February FWC meeting, and which we’ve included below, lightly edited for clarity. Links are provided for more extensive discussion. Click here for Allen’s proposed strategy for phosphorus removal through mechanical harvesting of invasive aquatic plants. Click here for Allen’s opinion and recommendations related to institutional challenges associated with what is truly a crisis in Florida: pollution of our water from nutrient loads. Click here for info on FWC public comment meetings and locations. 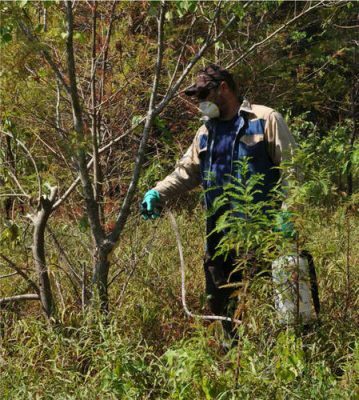 Herbicide spraying is at times necessary to deter overgrowth of invasive aquatic plants which impede navigation, water flow, and negatively impact water quality. However, poorly directed herbicide spraying can destroy habitat and introduce toxic materials into our waters. Further, it does not result in net nutrient removal. Mechanical removal has the potential of providing net nutrient removal while also managing rather than destroying beneficial aquatic habitat. Any experienced fisherman in Florida can tell you the value of a well-managed patch of aquatic plants to sportfishing. The belief that mechanical harvesting is too slow and too expensive has, until recently, been pervasive. But that is changing, not only because of improved technologies, but also because the removal of nutrients from impaired waters is an environmental service eligible for compensation. Two major environmental programs—the Total Maximum Daily Load (TMDL) program and the Comprehensive Everglades Restoration Plan (CERP)- mandate the need for removal of nutrients. Allen proposes a strategy that includes both plant removal and environmental service compensation for nutrient removal. It can be summarized by the following components. Negotiate long-term agreements with qualified contractors for mechanical removal services, to include actual removal and effective handing of the harvested material. Negotiate an environmental service fee with the entity or entities responsible for meeting TMDL requirements or CERP goals. This fee would be based upon the pounds of nutrients removed (most often phosphorus and/or nitrogen). Typically this fee would be no more, and preferably less than, what that entity is now paying for phosphorus removal. For example, the STA costs to South Florida Water Management District (SFWMD) are often well above $100/pound of phosphorus removed. Recognizing that an acre of water hyacinths can contain between 35-45 pounds of phosphorus, the payoff at $100/pound of phosphorus would be as high as $4,500 per acre. Negotiate with the contractor that portion of this environmental service fee that would be returned to the contractor. Harvested material would belong to the contractor who would be responsible for permitting its processing and distribution, and would retain all returns for sales, if any. This program could be initiated through a couple of demonstration contracts, which would allow objective assessment of system design, and development of needs for future projects.